Home/Stand Up Comedy/5 Years Of This? 5 Years Of This? Husband. Father. Comedian. 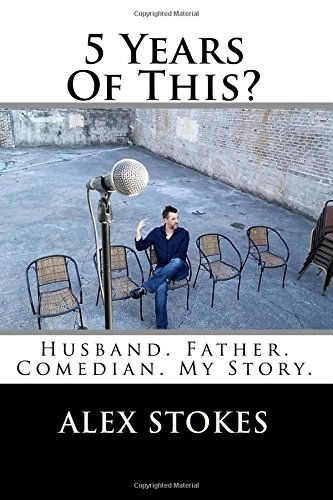 My Story., is the second book by Stand Up Comedian Alex Stokes. Alex, from Knoxville, TN, gave up his Investment Banking job after 14 years, and as a single Dad, to pursue the world of Stand Up Comedy. Where that world would lead him over the next 5 years, nobody saw coming, especially Alex. This is the story of a man, a genuinely good guy, who puts his family first, while trying to pursue a career in an unforgiving profession. Follow Alex on his journey of weird shows, strange venues, and interesting people as he tries to make it from East Tennesse. Alex Stokes is a Stand Up Comedian, Author, and Public Speaker from Knoxville, TN.